When a ship’s captain is forced to enslave island natives to please his fiancée, Princess Serena, he takes refuge in the company of a beautiful slave girl. The princess is devastated by his betrayal, and the lives of all the slaves in her realm are now at risk. 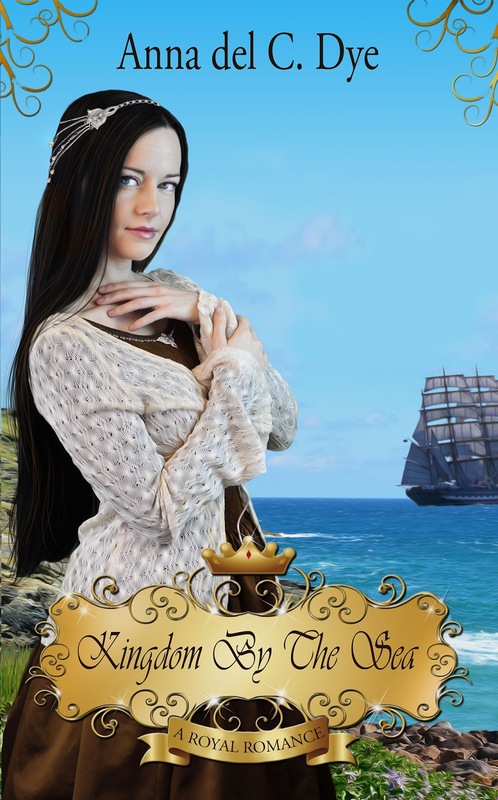 The heart-broken princess has acquired great power at her father’s death, could she use it to force the captain’s fulfillment of his promise to her? Or will the affectionate stable-hand, despite his own secrets, have his chance at her heart after all? The devotion with which he talked about her mother made her feel warm. She wanted to picture her mother the way the priest described her, instead of the way her father had portrayed her. Royalty is a very dangerous game, even more so with leaders like those of Delmar. With political bias and unrepentant desire for more, it is unfortunate that some leaders do not care about their people as they should. Anna del C Dye presents a wonderful story filled with romance, corruption and betrayal. It is both a captivating and adventurous tale spun around the betrayal of a lover, a father and a kingdom’s rule. When Princess Serena learns about her father’s disloyalty to his kingdom, she is stunned. Her father would never be a pawn to such atrocity, allowing others to dictate how their greed can serve their selfishness. During her earlier years, Serena fell in love with a man—leaving her in a state of cloudiness and ill-informed. This changed her, making her blind toward her surroundings and the corruption before her very eyes. Upon discovering a passageway behind the kingdom’s walls, certain things have become clear—crystal clear. Everything has changed and everyone has changed; Serena’s view has become altered to a degree and her senses of morality have been awakened. After stumbling across that one fateful conversation between her father and his Chancellor, Princess Serena learns of a constant recruitment of slaves upon her unbeknownst request—amongst other horrid things that she can would be held accountable for in the eyes of her people. Without proper knowledge of her reputation until now, she is appalled by her findings. Taking this information seriously, she is placed into a downward spiral of emotional and political turmoil. Can she turn the kingdom around for the safety of her people or will the betrayal become so ingrained into her mind that revenge becomes the answer? Upon learning of Serena’s true nature, her morale and dedication are striking. The consistency with which the author portrays her characters is vastly intriguing. Certain characters have more appeal than others; however, the most difficult ideology to toss around is who to side with. With unpredictable actions and plot twists, it becomes evident that there are two sides to every story. This author does a fantastic job with character development and originality. As this story unfolds, the pace quickens and allows the reader to understand the different aspects of each character’s role within the kingdom. If you are a reader of romance and young adult, this may be something worth looking into. A free copy was exchanged for an honest review of this fictional piece. The need for minor editing caused this star rating to decrease in number. Overall, this piece is highly enjoyable and I would recommend this story to others based on content, originality and descriptiveness.